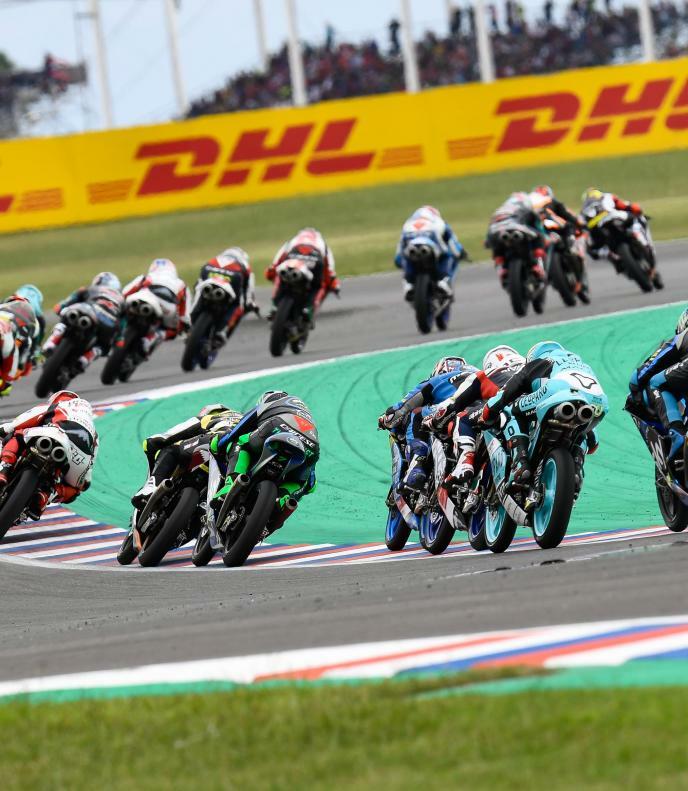 John McPhee (Petronas Sprinta Racing) began his Sunday at the Gran Premio Motul de la República Argentina in fine fashion as the British rider topped Moto3™ Warm Up with a 1:49.175, 0.637 clear of Championship leader Kaito Toba (Honda Team Asia). 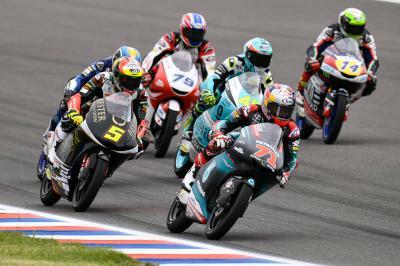 However, there was drama for the pole man just before the halfway point of the session as Jaume Masia (Bester Capital Dubai) was caught up in a huge crash with rookie Sergio Garcia (Estrella Galicia 0,0). 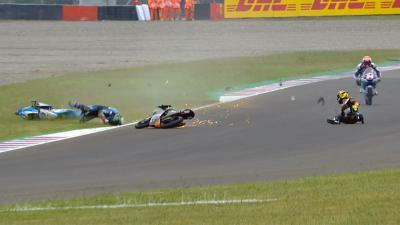 The latter ran wide on the exit of Turn 11 and crashed heavily, with Masia unable to avoid Garcia’s Honda. Thankfully both riders were back on their feet as the Red Flags came out to allow the marshals to clear the debris off the circuit, with the riders able to head back out for the remaining 12 minutes shortly after. Garcia headed to the medical centre for a checkup. 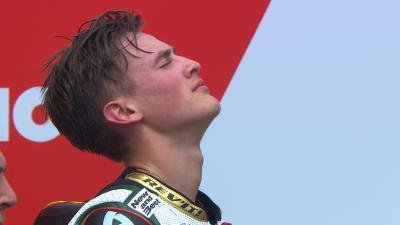 When they did it was McPhee who set the pace as only three riders dipped into the 1:49s. The third of those was home favourite Gabriel Rodrigo (Kömmerling Gresini Moto3), who ends morning Warm Up 0.761 off McPhee ahead of his home race. 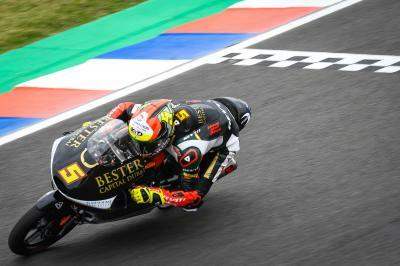 Tony Arbolino (VNE Snipers) was fourth fastest, with Aron Canet (Sterilgarda Max Racing Team) fifth – both of whom start from the front row. 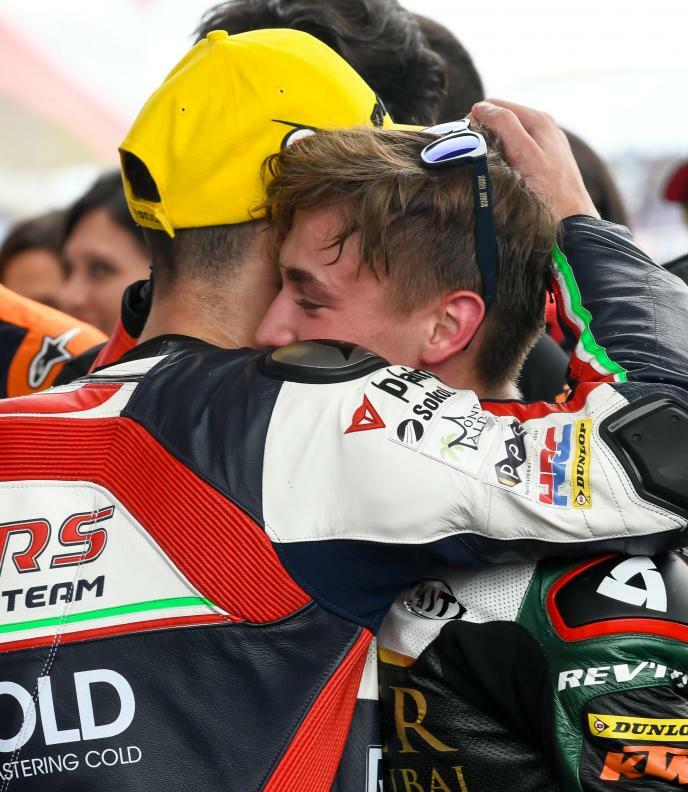 Can Öncü (Red Bull KTM Ajo) was another faller in the session, the Turkish rider losing the front at Turn 3 – rider ok, with Marcos Ramirez (Leopard Racing) crashing unhurt with under a minute to go. 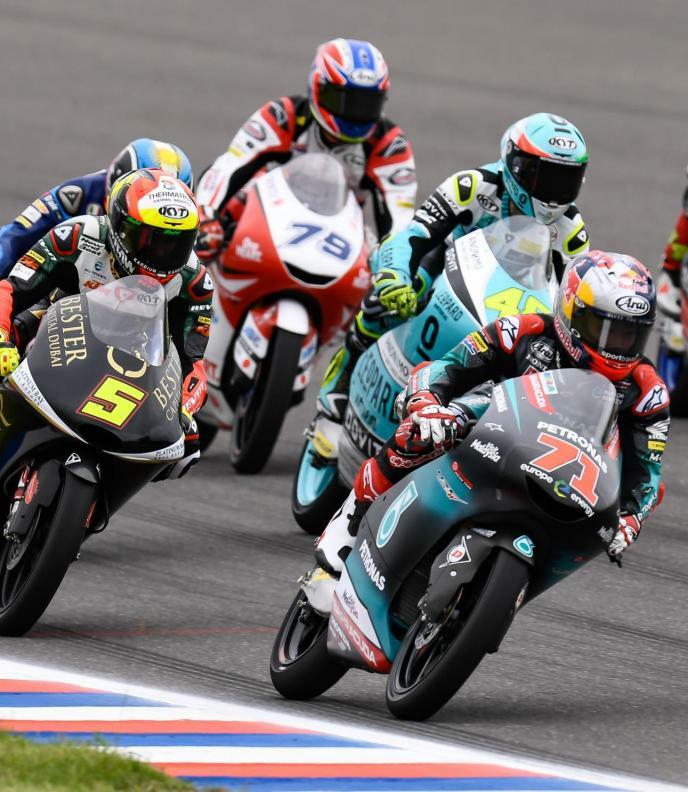 Don’t miss the Moto3™ race from Termas de Rio Honda, which starts at 12:00 local time (GMT-3).